A pool table owner notified us that her felt would need to be replaced when we moved her pool table to her new house. Her pool table felt had dozens of little crescent shaped cuts and a couple of “v” shaped tears on it. One look at her cue sticks and we immediately knew what had caused this to happen. There wasn’t a good pool cue tip in the entire bunch of cues that went with her pool table. If your pool cues look like this – please stop using them. You will save yourself the cost of replacing your billiard felt. 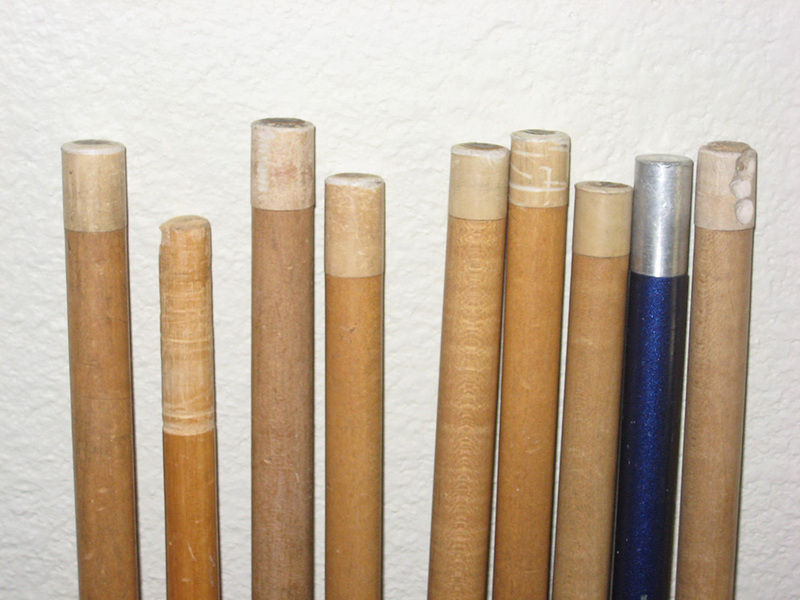 A typical pool cue can be re-tipped for around $10-20. A typical pool table refelting will run you around $325. Even better, bring in your pool sticks for repair when the leather tip gets to be about the thickness of a dime. If the leather gets too thin, the tip will fall off the ferrule (that white thing that holds the tip to the wood shaft).